Terry Pratchett sold his first story when he was fifteen, which earned him enough money to buy a second-hand typewriter. His first novel, a humorous fantasy entitled The Carpet People, appeared in 1971 from the publisher Colin Smythe. 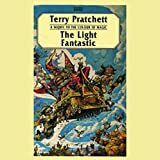 Terry worked for many years as a journalist and press officer, writing in his spare time and publishing a number of novels, including his first Discworld novel, The Color of Magic, in 1983. In 1987 he turned to writing full time, and has not looked back since. 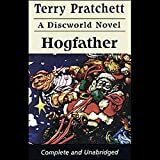 To date there are a total of 36 books in the Discworld series, of which four (so far) are written for children. The first of these children's books, The Amazing Maurice and His Educated Rodents, won the Carnegie Medal. 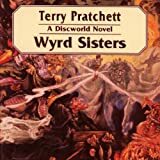 A non-Discworld book, Good Omens, his 1990 collaboration with Neil Gaiman, has been a longtime bestseller, and was reissued in hardcover by William Morrow in early 2006 (it is also available as a mass market paperback (Harper Torch, 2006) and trade paperback (Harper Paperbacks, 2006). 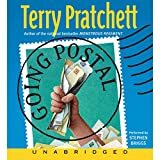 Terry's latest book, Nation, a non-Discworld standalone YA novel was published in October of 2008 and was an instant New York Times and London Times bestseller. Regarded as one of the most significant contemporary English-language satirists, Pratchett has won numerous literary awards, was named an Officer of the British Empire "for services to literature" in 1998, and has received four honorary doctorates from the Universities of Warwick, Portsmouth, Bath, and Bristol. His acclaimed novels have sold more than 55 million copies (give or take a few million) and have been translated into 36 languages. Terry Pratchett lives in England with his family, and spends too much time at his word processor. 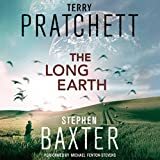 Some of Terry's accolades include: The Carnegie Medal, Locus Awards, the Mythopoetic Award, ALA Notable Books for Children, ALA Best Books for Young Adults, Book Sense 76 Pick, Prometheus Award and the British Fantasy Award.